The last week has seen four Fight Night Combat tournaments, including three at national juggling conventions. The largest took place at the Russian Juggling Convention in St. Petersburg, with 21 jugglers in the qualifications and 12 in the knockout. The third place match was the most dramatic, with Ilya Polyakov being four match points down to Adel Bikbaev, at 0-4, but then winning five points in a row to win 5-4. The final match featured local juggler Kirill Sverchkov up against international guest Luke Burrage. Luke won 5-3, earning himself a melted Snickers bar, a set of three Henrys Delphin clubs, and 500 rankings points. The Estonia Circus Convention hosted its second Fight Night, and this time it was won by an Estonian. Not only did a local juggler take the title, but Maarja Roolaht became the second woman to win a Fight Night so far this year. 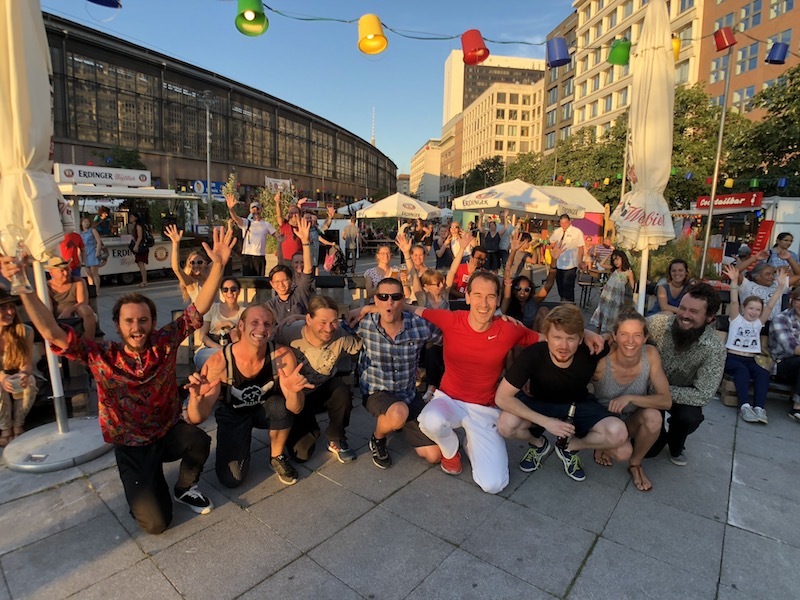 The Hungarian Juggling Convention 2018 was invaded by two Czech jugglers on a mission to win as many tournaments as possible this year. The Vašek Peca vs Michal Keda rivalry now stands at four wins to one, with Vašek winning the final in Hungary. Vaśek is now into the top 10 in the 52 Week Current Rankings and second in the 2018 Race Rankings, just behind new number one Luke Burrage. Finally, there was small Fight Night in Berlin last night as part of a summer street show festival. And because it's in Berlin, it just happened to feature three of the top four ranked players in the world of combat. Luke Burrage beat Alexander Müller in their semi-final, before losing convincingly to Jochen Pfeiffer in the final. Jochen won a crate of beer and a set of three Henrys Delphin juggling clubs, that may or may not have been the same prize Luke won in Russia five days earlier. As a Minor 125 tournament, the results have no impact on the current rankings, and only serve to extend Jochen's winning streak to 51 matches!